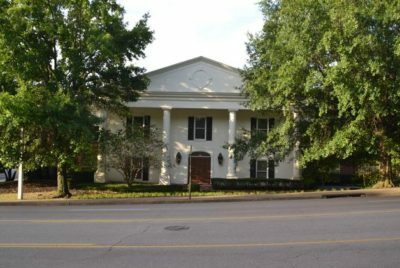 An East Memphis office building just sold for nearly $2 million. Located at 6409 N. Quail Hollow Road, the 13,600-square-foot building went for $1.957 million. Barry D. Maynard and Frank Dyer with Loeb Realty Group represented the seller — Quail’s Nest LLC — and Matt Weathersby and Dave Curran with Cushman & Wakefield/Commercial Advisors represented the buyer, Keenland Downs Properties LLC. The Quail Hollow building is 100 percent occupied thanks to its single tenant — Comprehensive Pharmacy Services. Maynard and Dyer also helped complete a new, five-year lease agreement with the tenant. Don Bourland of Bourland, Heflin, Alvarez, Minor & Mathews PLC took care of the closing for the seller, and M. Neal Hanna, attorney with Saddle Creek Title, handled the closing on the buyer side. “Frank [Dyer] and I are seeing some very exciting and new income-alternate properties come to market, and we have some big plans to take to market several Arkansas income-producing properties in the next few months, as well as other investment properties in Tennessee and Mississippi,” Maynard said.